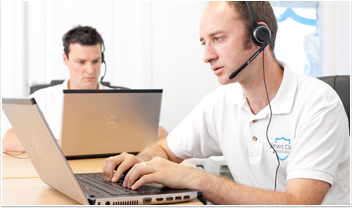 Our Support team plays a major role in our Smart Services offering, providing a high quality service to all our customers through a range of channels and contact options. Our expert Support team enjoys an excellent reputation across our customer base and they greatly influence our product development and upgrade strategy by listening carefully to customer requirements and ideas. We aim to develop loyal and happy customers and we recognise that a major part of achieving this objective is delivering timely accessibility to a range of relevant resources and support channels. Customers can access phone support, email support, online ticketing and tracking, remote PC viewing and control as well as a library of downloadable user guides, training resources and video tutorials. Our Support team is also highly active in the field, implementing installations and training sessions while building positive relationships with our customers. "The service team is great, even when dealing with bespoke requirements." "The support is very good and we are happy to recommend the company to other Clubs." "I have been very happy with the help and support I have received from Smart Club Solutions. The online support is very efficient. " "The service from Smart Club Solutions is excellent. The development manager, Kevin, was excellent at tailoring the product for our unique requirements." "Your tech support is excellent and response time is very impressive. My thanks to John, Peter and Donal who are always very helpful if we ring with a query. " "On the rare occasion when I have had to contact Smart Club Solutions with a problem, I have found the staff to be efficient, very helpful and courteous."